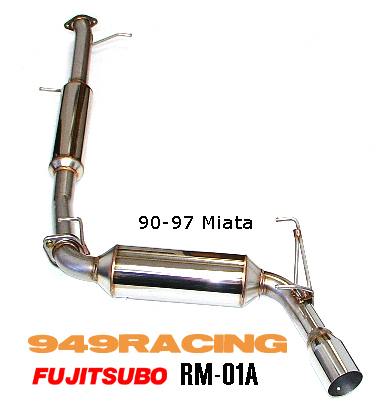 Fujitsubo race exhaust sale @ 949Racing - Miata Turbo Forum - Boost cars, acquire cats. Price include free shipping within the US lower 48 states. The RM-01A is Fujitsubo's race model. Agressive in tone, super light weight and tuned for max power. Besides that, the system is beautiful. A higher level of craftsmanship than you'll see in any other Miata exhaust.Tiny, perfect argon purged welds, flawless fit, highest quality hardware. This variant is made specifically for the US market. Optimized for N/A engines but will also work well on low boost turbo & supercharged set ups. This exhaust is not for someone who just wants a small bump in power and slightly sportier exhaust note. 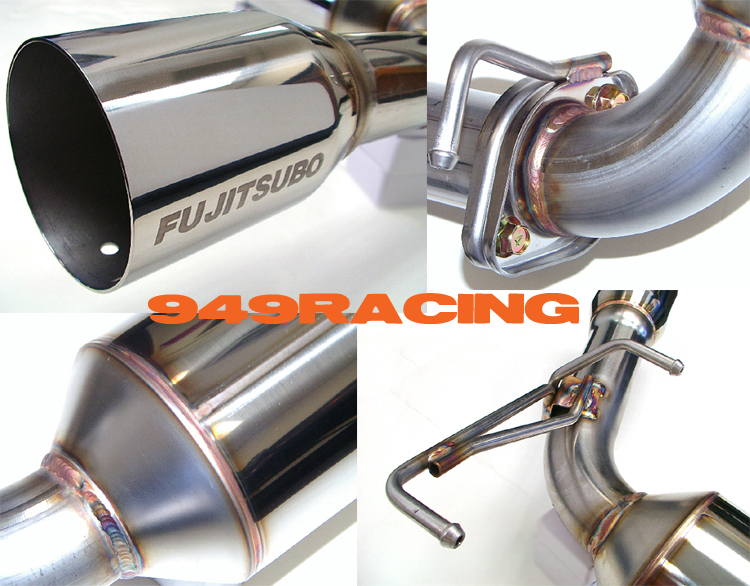 Fujitsubo makes the Legalis-R for that and we also offer the very nice Racing Beat Power Pulse exhaust. The RM-01A is aimed at the weekend racer or drifter looking for the highest possible performance in a bolt-on exhaust and won't mind some bark at full throttle. Last edited by emilio700; 07-25-2009 at 09:25 PM.